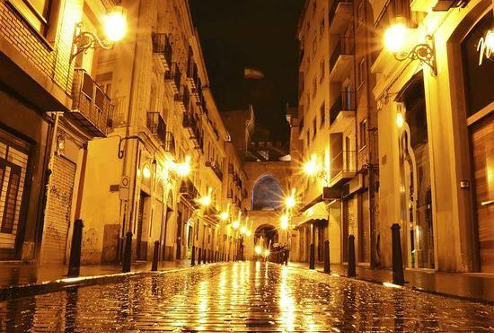 A neighbourhood that grew between the walls (that separated the Arab and Christian quarters) is now one of the centers of leisure and culture in Valencia. 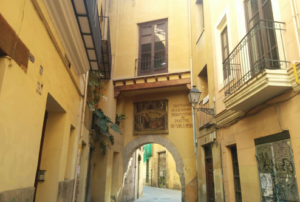 El Carmen is neighborhood that grew between the walls (that separated the Arab and Christian quarters) is now one of the centers of leisure and culture of Valencia. If there is a charismatic street in the neighborhood of El Carmen that would be the Calle Caballeros. It has been said that the knights who accompanied the King Don Jaime in his conquest of Valencia afterwards lived here. The truth is that during hundreds of years the palaces here have aligned next to one another and have left us a unique Valencian civil Gothic style that today we can admire. El Portal de Valldigna (1400), the door between the Arab and Christian quarters, was built before America was discovered and is still there, in the district of El Carmen. 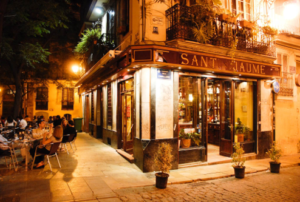 Nowadays, the bohemian atmosphere, the small streets, the cafés, the live music and the overall atmosphere in this Barrio along with the animated nightlife will make you come back.